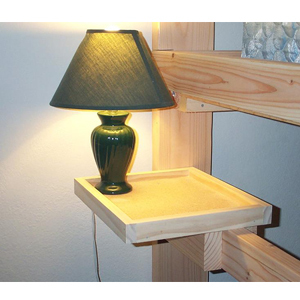 Solid Birch and Pine Shelf for your Bunk or Loft Bed. We can make it in any size. The Price is for a 13-1/5 In. x 13-1/5 In. Self. Easy to assemble. Please indicate the Custom Size You would like.